Make some space for Kanvas Kloset – a significant addition to your quirky and design-heavy shoes collection. 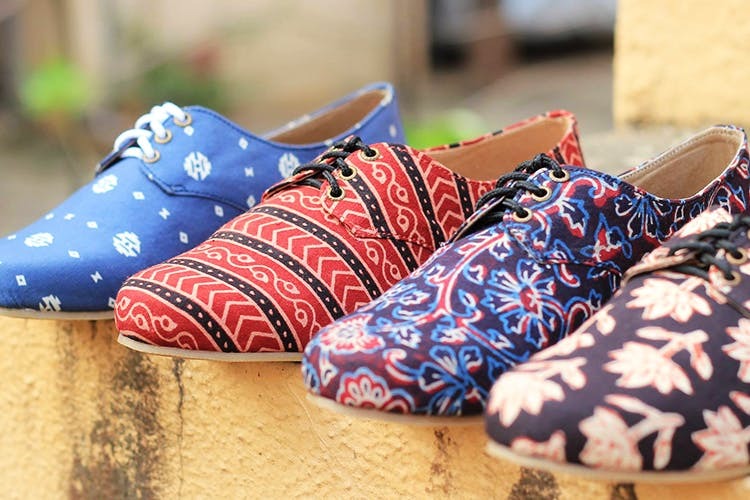 With this brand, canvas shoes get revamped with eclectic designs smeared on them. Their collection starts at INR 599 and the brand can be spotted at music festival markets and popular flea markets. It enjoys attention from people who avoid vanilla shoes. Not only canvas, they branch out to wedges, pumps and oxfords too. Their collection for both men and women will leave you spellbound, and the fact that they customise makes their shoes even more likable. Give them a shout if you usually struggle with your shoe size. Also, if you don’t want to carry those plain blacks for a friend’s sangeet, you have to check out Kanvas Kloset. We felt that their collection for men is a bit limited.